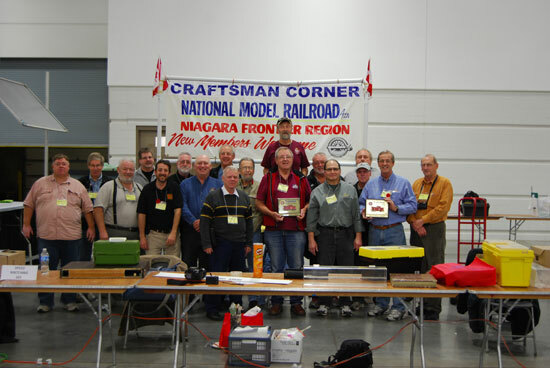 Once again a group of us from the Canadian side of the Niagara Frontier Region (NFR) of the National Model Railroad Association (NMRA) did the 14-hour car ride to Milwaukee, Wisconsin to participate in Trainfest. This time we had more than a dozen members to staff our Craftsman's Corner. 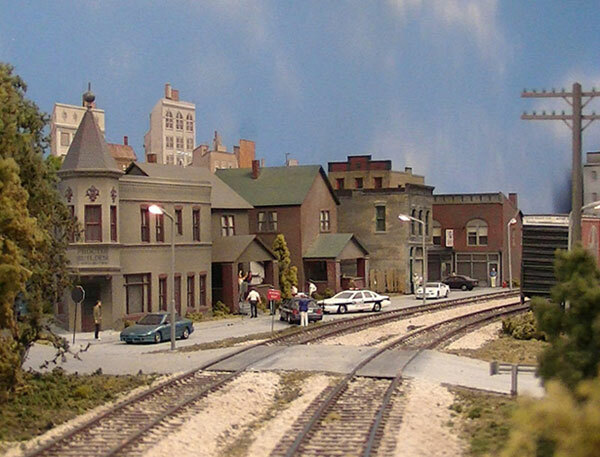 Also joining us was Bob Scott, owner of the Credit Valley Railroad Company store in Mississauga and Clark Kooning, a Canadian Director of the NMRA and a host of Modeling with the Masters. 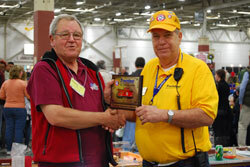 The S Scale Workshop attended for the first time and Pete Moffett and his crew won "Best Layout in Show". 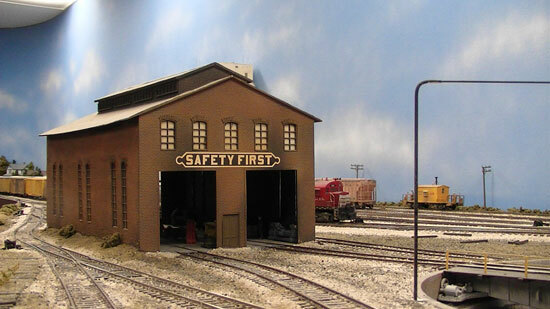 Our Craftsman's Corner at Trainfest. I'm under the "mb" in member in the banner. 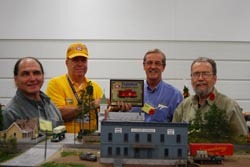 One of our guys, Neville Mead, won "Best Model" for his HO scale scratchbuilt Parry Sound Station. Neville Mead won "Best Model"
Neville had included all the rafters in the removeable roof and that roof has a curved cupola! 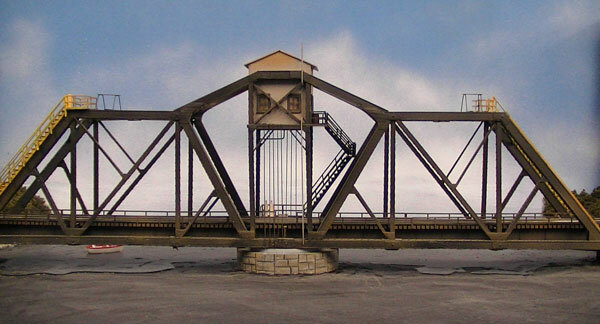 My project this year was scratchbuilding a two-track freelanced signal bridge in brass. 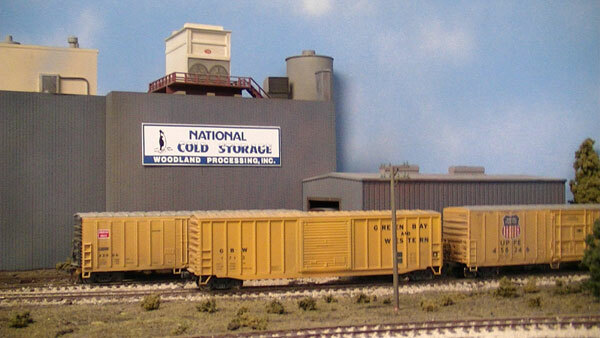 Each of us at the NMRA's Craftsman's Corner did a different project from making trees to decaling, kit building in styrene, and making fencing for a stockyard. 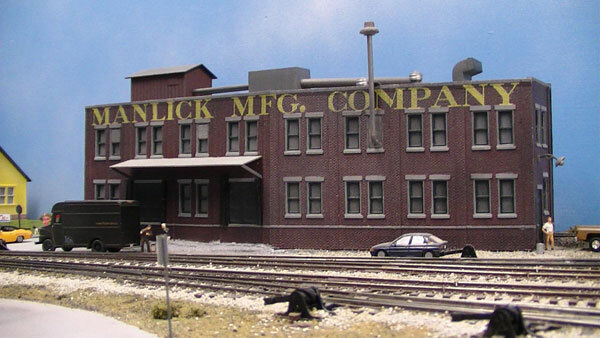 The complete list of projects was listed on the Trainfest website in the pre-Show newsletter. You can subscribe to their free newsletter. Lots of useful modelling information. Trainfest is held in early November. A new record! Saturday attendance was 12,202 and Sunday was 11,352. The total of 23,764 was 278 better than 2010 setting a new attendance record. 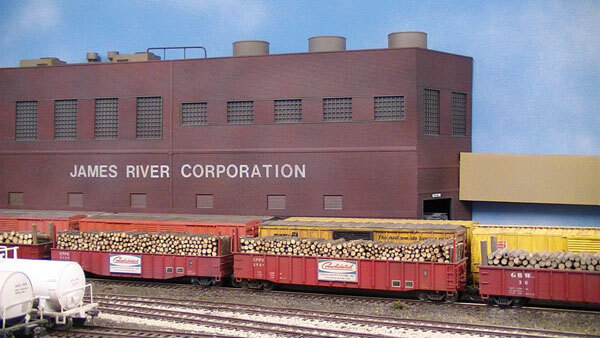 This is advertised as the largest show of operating layouts in the United States. 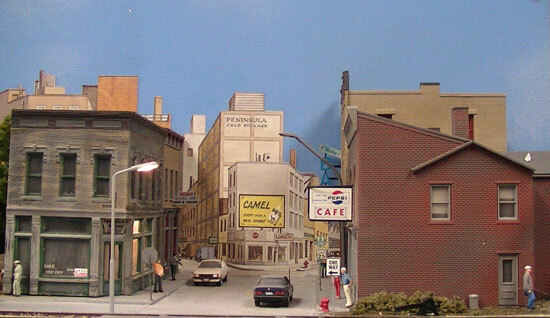 That doesn't include the historical societies, dealers, manufactuerers and clinics such as our Craftsman's Corner. Well worth the 14 hours it took to get there. In 2011 I didn't shoot much footage at the show itself. 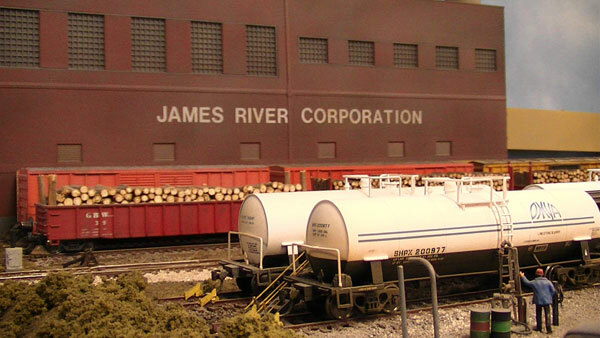 We are fortunate to have met many of the top modellers in the Milwaukee and Chicago area. 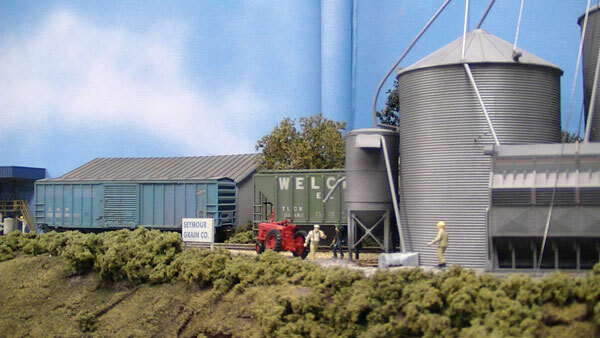 We were invited to visit and operate some of the best layouts in the region. On Friday after setting up for the show we drove north to Sheboygan to visit brothers Mark and Marvin Preussler. 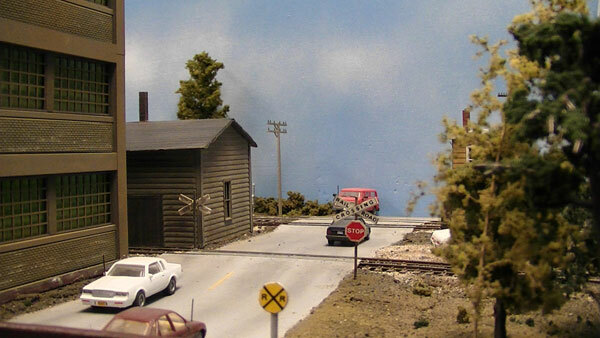 Mark models the Soo Line and his layout and craftsmanship are excellent. Fifteen of us took part in a 3-hour ops session followed by dinner at Gosse's at the Northwestern House, a Sheboygan landmark restaurant. I've condensed the afternoon's activity into about a 15 minute video. 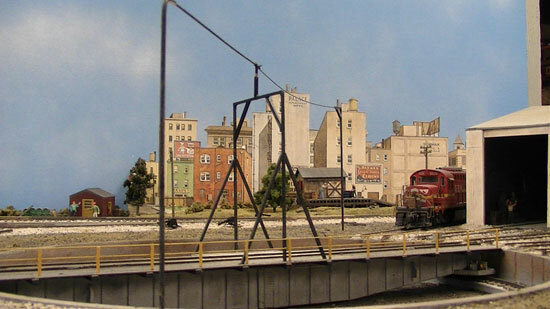 Marvin's layout is spectacular to say the least. 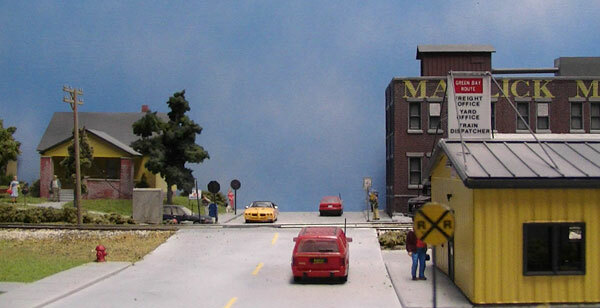 Marvin is a professional paint and decal expert who takes on assignments for other modellers. His weathering is superb. I concentrated on taking still photos of his layout because his scenes are worth studying. 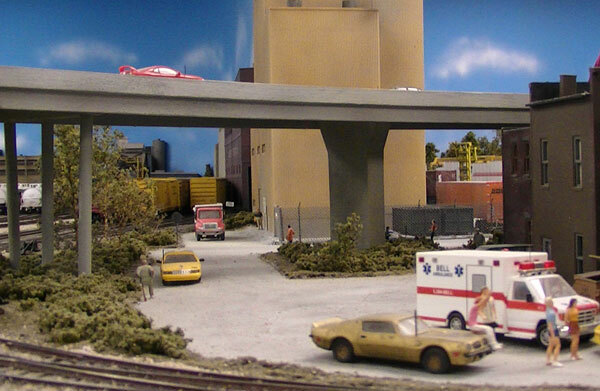 There are many vignettes such as the arrest of a murder suspect. His work is truly an inspiration. Clicking on the thumbnail image will bring up a larger view. This is another superb layout we visited. The Midwest Lines is fully scenicked. The detailed scenes are first rate and the painted backdrop is wonderful. I managed to capture a circus train along with assorted freights and passenger trains. On Saturday we had dinner at Lee and Gloria Bauer's home in Racine. 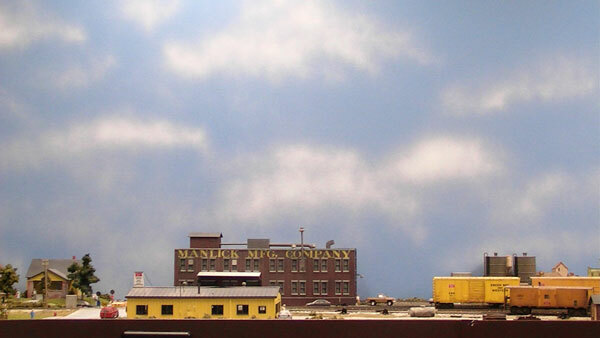 A video of their layout is included in the videos for Trainfest 2010. Lee and Gloria take part in our Craftsman's Corner. Gloria has painted hundreds of figures for their layout and Lee has installed lights in every building. He was working on a Bar Mills kit this year. Burnell Breaker also joined us this year for our clinics. He was showing people how to do basic maintenance on Lionel trains to help get those old trains found in the attic back in service. I videotaped Bernie's layout last year as well. 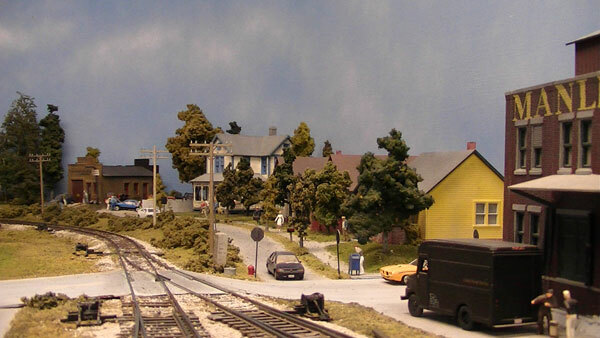 There are two HO model railroad club layouts in Union Grove near Milwaukee. Bother occupy the same building, one at the front and one at the back. 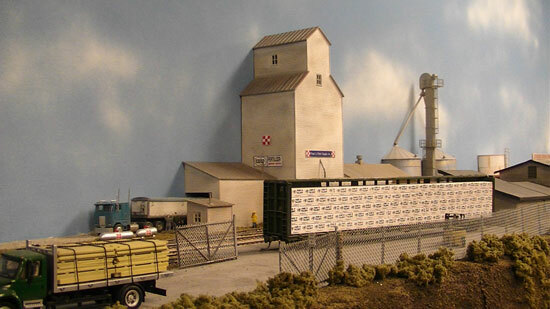 The Tri-County Model Railroad Club is rebuilding their layout after acquiring this new space. The Union Grove layout is expanding and work has started on an upper level. Most of the lower level is complete. Here's a short video. 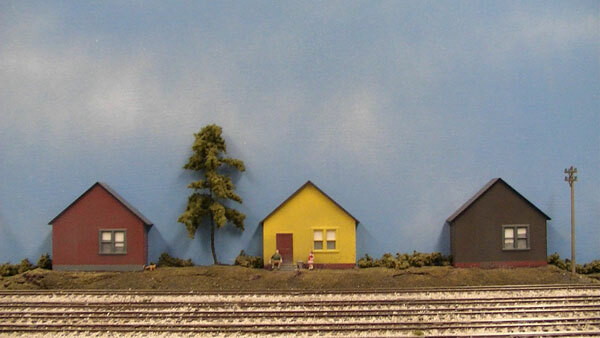 The last video is of the magnificent Chicago & Northwestern Lakeshore Division HO layout of Don Drum in Bayside, Wisconsin. The era is summer in the 1956-60 period. 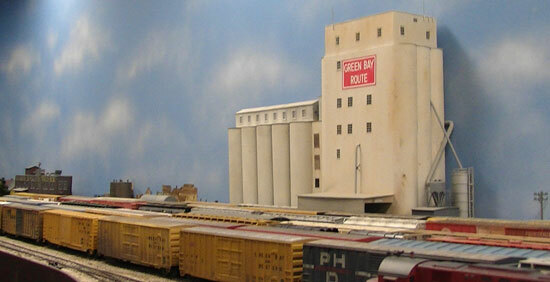 The layout is 476 square feet with a mainline run of 377 feet. Control is by PSI Power Systems with walkaround throttles. 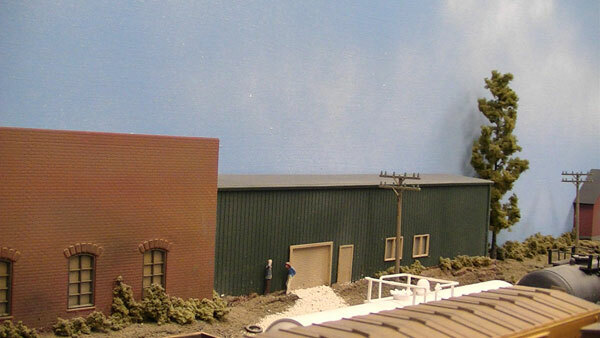 The layout has many passing sidings, industrial spurs and nine prototype-based stations. Don says motive power is the exact type bearing the engine numbers that were running on the Lakeshore Division and in the Chicago passenger diesel pool. 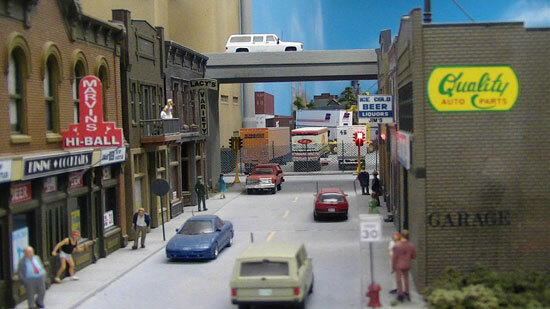 The first half of the video tours the scenery and vignettes on the layout. The second half follows trains through the scenery during an ops session Don held for our NMRA NFR group putting on Craftsman's Corner at Trainfest. 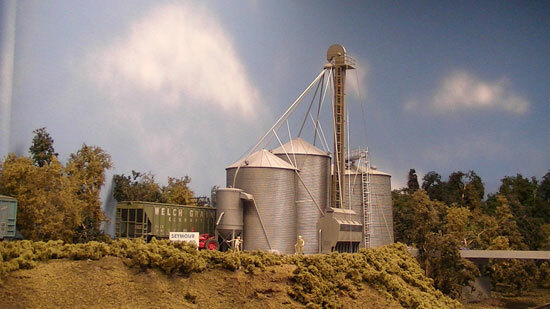 This is a highly detailed model railroad that operates flawlessly. Go from "trainfest-2011" to other train videos. Go from "trainfest-2011" to other train photos.